This week, it's only partly about the football, as a handful of the drivers celebrate what was a pretty epic final to finish off a great tournament. It's not all about soccer, however, as we also have points for selecting a good hashtag, sharing amusing photoshops, and maximising the time available during testing. There's a definite home advantage being seen during this season of Christine's Rankings, so if you spot the German drivers doing something noteworthy, or any of the other drivers upping their game to match, let me know in the usual ways! 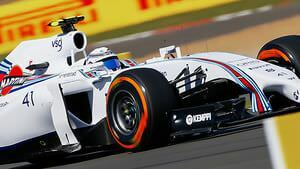 +1 Susie Wolff: Answering Lukeh's question about Rob Smedley's beard, and more importantly, using the word 'gingometer'. -1 Romain Grosjean: Not really digging the cricket whites. +1 Kamui Kobayashi: This is just an amazing photo of the sunset. Great reflections. +1 Fernando Alonso: I like the idea of retiring one suitcase and bringing out a new one - although that's a heck of a lot of flights to require such a thing. +4 Nico Rosberg: The full five points for getting married and sharing a lovely photo, but less one for squeezing the watch in to the picture. Always with the watches! +3 Nico Rosberg: Having his lunch in the car during testing, because they don't have a lunch break anymore! Looks uncomfortable though. +1 Fernando Alonso: Confident he didn't make this photoshop image, but it's still quite a lot of fun. +2 Nico Rosberg: World Cup celebrations continue with a special helmet design for Hockenheim. +2 Susie Wolff: Using the hashtag "I'll be back" because she will be but also, let's face it, when it comes to Toto, we're all thinking it.